Did Death Valley set the world's record for hottest month? Did Death Valley set the world’s record for hottest month? In July, Death Valley recorded an average temperature of 108.1 degrees. 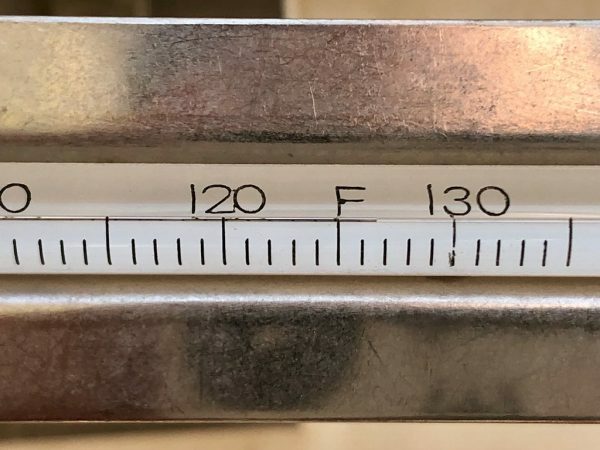 That eclipsed the previous record of 107.4 degrees set in Death Valley in July 2017. Meteorologists calculate average temperatures for the month by first averaging each day’s temperature from its high and low, then averaging each day’s average. Last month’s recordings from Death Valley are preliminary and must still be verified. Last month, Death Valley had a daily high of 127 degrees four days in a row. There were 10 nights during the month in which temperatures failed to fall below 100 degrees. The National Park Service said heat contributed to the death of a hiker in mid-July. Also, two French tourists needed to be recused from a combination of cliffs, heat and dehydration. Additionally, the Park Service found about a dozen dead animals that showed no obvious signs of trauma and are suspected to have died as a result of the heat. In addition to drinking plenty of water and limiting activities outside air-conditioned areas, rangers advise visitors to Death Valley to stay in the park’s well-traveled areas. Vehicles can break down and cell phones do not work in much of Death Valley. San Luis Obispo County also experienced a heat wave last month. Temperatures hit 100 degrees in North County on about half of the days in July. Lived and worked in Death Valley for a couple of years at Furnace Creek Inn and Ranch Resort, loved both the Valley and Furnace Creek. The hottest place in the Valley on average is Badwater, about 280′ below sea level, and had the hottest temp’ ever recorded on the planet of 134 degrees fahrenheit in 2013. The heat out there can be tricky; I found myself one morning looking up into the eyes of a State Park Ranger who had been called after I was found on the 12th fairway (yep, there’s a beautiful par 4, 18 hole championship golf course out there) unconscious from heat exposure, damn near killed me! I grew up in Blythe in the 50’s & 60’s. Continually during the summer, temps would not drop below 100 over night. I recall watching LA TV channels and feeling a twisted sense of pride when Blythe would be declared the hottest spot in the nation, very often in the 120’s. I have always said “It is a good place to be FROM”. Most people I meet have a Blythe horror story to tell. Car broke down; A/C did not work at the Motel: Got arrested etc . . . .